What did you do for Valentine's Day? How much money did you spend? How long did you have to wait around to get seated and served? Did you make those reservations weeks in advance? Was it worth the surged Uber rides? Did you have any fun? 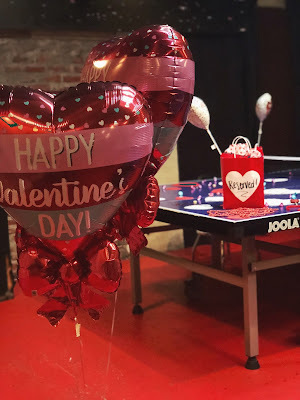 Instead of spending $200 in a crowded restaurant on Valentine's Day, I surprised my S.O. with pizza, beer, and a night of intense rounds of ping-pong, and I wouldn't have done anything differently. A few balloons and chocolate kisses later, and Comet Ping Pong was transformed from a hipster pizza joint to the perfect spot to have some fun with the one you love. Without breaking the bank, we had an entire night to chow down on delicious food and enjoy each others company. 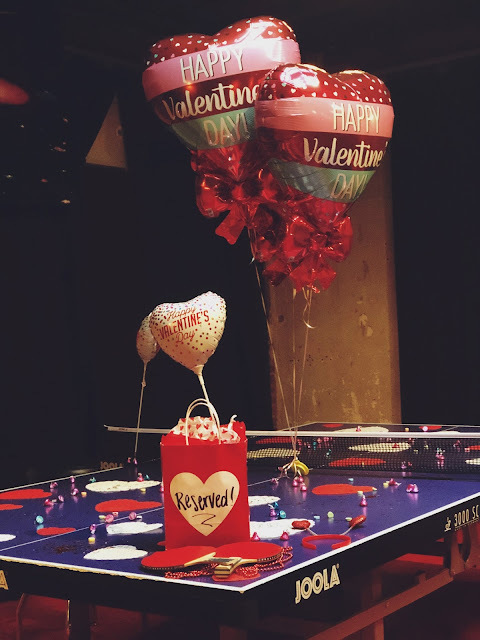 The atmosphere made it even more fun, with families all around us eating pizza and kiddos scrambling for ping pong balls. It felt so great to celebrate love with my guy while doing more than just sitting across the table and politely eating. 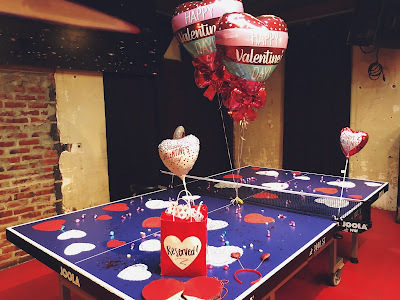 Instead, we were in our best attire while slamming ping pong balls at each other, playfully fighting over who was the better player, ordering special drinks from the bar, and laughing at all the kids trying to play with us. It was a great date night, and one I would do again for more celebrations and special outings. Comet Ping Pong, which is nestled in the Upper Northwest of DC, is a hipster pizza bar, with free ping pong everyday and cool punk rock shows every weekend. 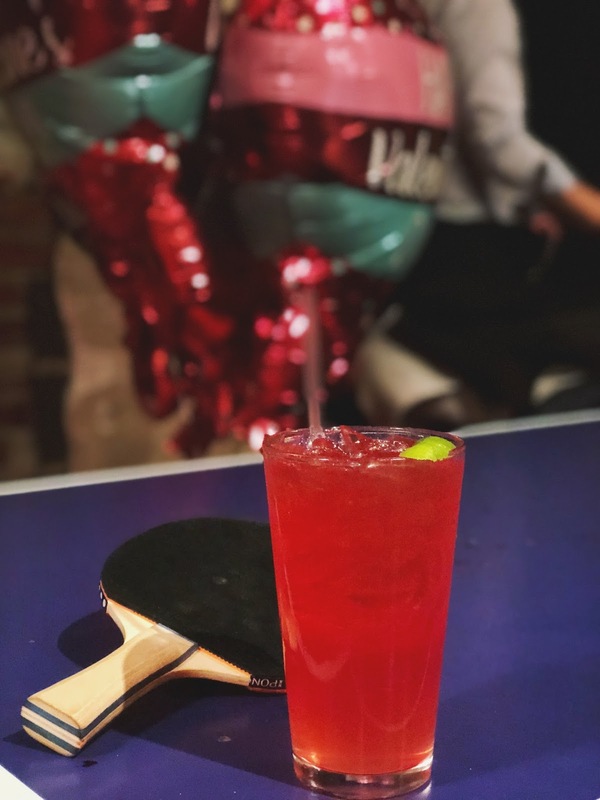 It's perfect for date nights, outings with the fam, or a spot to grab a drink with a friend and practice your table tennis skills. They offer unique cocktails and a good selection of beer on tap to try while you wait for your turn to play some ping pong. While you eat thin-crust pizzas from a giant wood-burning oven on mini ping pong tables, you can actually watch the other guests on a giant screen playing on the real ones. Everyone eating at Comet got to see me and my S.O. dressed to the nines sweating buckets and taunting one another all night long. Because we're foodies, we went all out on the pizzas and apps (and still didn't even get close to spending as much as my S.O. thought we would at the luxurious restaurant he assumed we were going to). Although we weren't at a fancy place, all the food was fresh and delicious. The adult playground spot prides itself on being different, with cool ping pong tables, contemporary art throughout the space, flat screen TVs, and an awesome line-up of bands playing each weekend, but they also serve food that is farmed and harvested in sustainable ways, and they even produce their own tomato sauce using organic tomatoes from Pennsylvania! 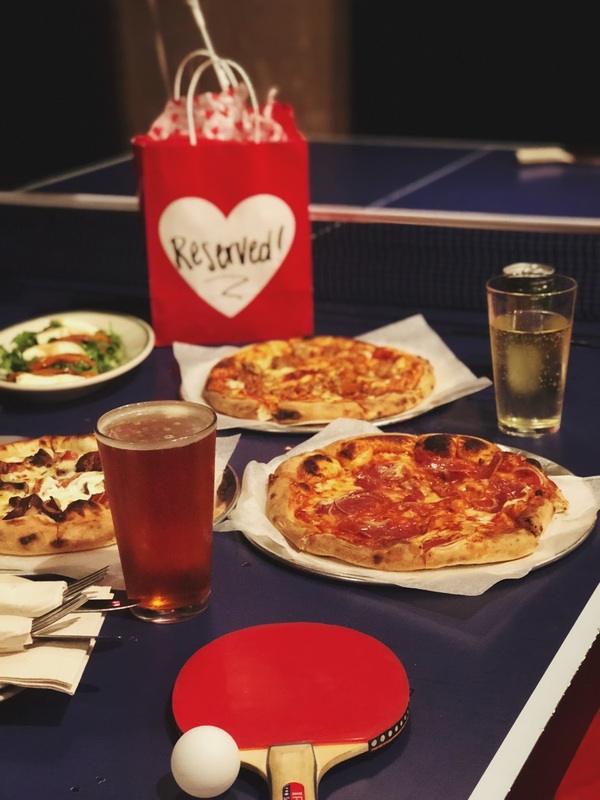 Comet Ping Pong delivers the best night out (and actually, they also deliver if you're wanting to stay in!) Comet doesn't just serve regular pizzas, but instead has unique wood-fired pizzas like the Smoky, which comes with smoked cremini mushrooms, garlic, olive oil, mozzarella, bacon, and caramelized onions, or spicy pizzas, like The Hottie, and pizzas topped with delicious proteins like The El Camino, which is topped with organic ground beef, or the Yalie, which has fresh clams! 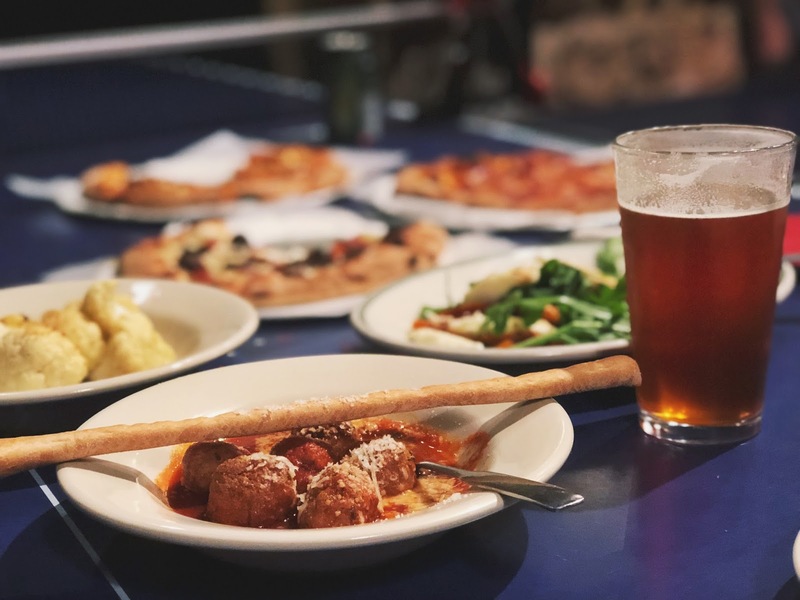 You can also make your own pizza, or, if you're not feeling pizza, they offer multiple different salads, awesome meatballs with their comet tomato sauce, hot wings, and tasty garlic knots! They also serve tons of delicious desserts, including organic and locally made ice-cream, homemade chocolate chip cookies, and, my favorite, Rootbeer floats!! 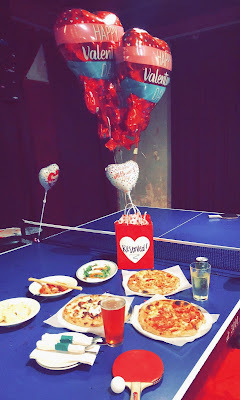 So, cheers to Comet Ping Pong and to making date night fun again. Come for the drinks, for the bands, for the ping-pong, for the pizza...come for all the fun that they offer. I promise it's better than trying that new tasting menu with that new chef downtown.